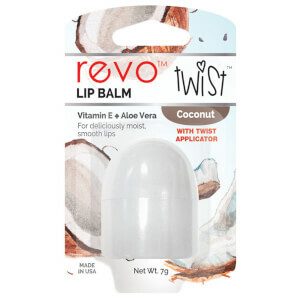 Help temporarily protect dry, chapped or wind burned lips from harsh external elements with these great range of lip balms from Evo. 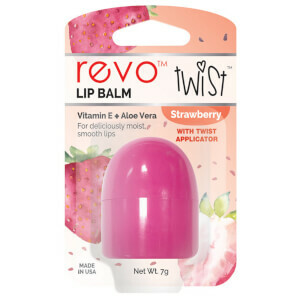 With flavours such as Raspberry, Strawberry and Cherry Mint, Revo lip balms smell and taste great! 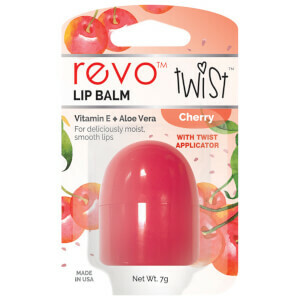 The packaging is cute and fun and makes the perfect handbag accessory; the colours are bright but don't transfer onto lips. Infused with nourishing Vitamin E, Conditioning Oils and Soothing Aloe, apply the balm liberally as often as you require. Make for perfect gifts too!